These numbers reflect estimated student expenses for the 2019-2020 school year. Amounts will change from year to year, but as the cost of college increases, the scholarship awards will correspondingly increase. These numbers are based on the 2018-2019 school year as 2019-2020 costs are not available yet. Your official financial aid award will be included in a letter directly from MIT. All outside awards including a Federal Pell Grant will first reduce the $3,400 Work award and the $2,000 Student Contribution, before reducing MIT Scholarship aid awarded to a student. Students eligible for a full Pell Grant may have up to the full Cost of Attendance covered by grant and scholarship aid. The commonwealth of Massachusetts requires all students to have some form of hospital insurance. As part of the basic tuition fee, MIT provides the basic Student Medical Plan, but also enrolls and bills all students for the Student Extended Insurance Plan (which provides hospitalization coverage). However, if students notify the MIT Medical Department before their waiver deadline that they already have sufficient coverage (usually under their family's insurance), they can be granted a waiver from the Student Extended Insurance Plan. Students who cannot or do not waive the Extended Plan will have to cover this cost themselves. The travel allowance is determined by MIT Student Financial Services and is dependent on the student's home address. Changes in the travel allowance will affect the MIT Scholarship. Massachusetts Institute of Technology (MIT) awards financial aid based only on financial need, as determined by the institution and is dedicated to meeting the full demonstrated need of each undergraduate for all four years. MIT does not award any academic, athletic or other forms of merit scholarships. MIT's need based financial aid is awarded on an annual basis, and Match recipients must re-apply yearly for aid. Provided that there is no significant change in a student's family's financial situation, financial aid awards should remain consistent year to year. 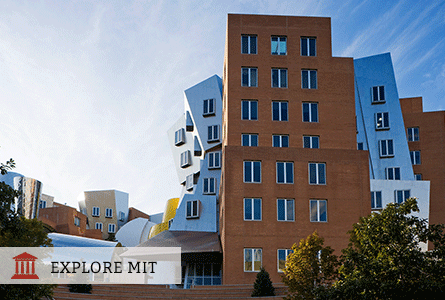 Students who do not meet this eligibility can still be considered for admission to MIT in Early or Regular Action admissions, and may still qualify for a very generous financial aid package. MIT has both ''need-based'' and ''full-need'' financial aid policies. This means that financial aid is awarded based on financial need (not academic or athletic achievements), and MIT is committed to meeting 100% of every student's demonstrated need. 58% of MIT undergraduates receive an MIT scholarship that average $45,542. 89% of MIT undergraduates receive some form of financial aid (including scholarships, loans, and jobs from any source). Learn more. Use MIT's Net Price Calculator to estimate the financial aid for which you are eligible.